Some really good ones this week! Hard to choose. In this particular case, the winner goes to the person who correctly identified who the baby was cosplaying. 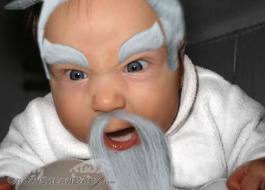 Even Pai Mei was young once. Sort of.